It’s almost Valentine’s Day! That means we are about six weeks into the new year. How are you doing with the “Getting Your Financial House in Order” project? So far in this series, we have built a nice foundation for your financial house. First, we focused on getting your saving and spending top of mind. Then we worked on making sure you had a good defense in place, protecting your income and your assets. As we move our way up the financial planning pyramid, our next area of focus is investment planning. With the recent headline-making activity of the financial markets, it’s a great time to make sure that you have a proper investment strategy in place. It’s important, especially in times of extreme market volatility, to make sure you have a plan that allows you to stick with it when things get tough. There are two basic approaches that you can use to build an investment strategy. Most advisors—and investors—follow what I call an “active” management style. This is an approach that is based on some type of information that the advisor, or investor, thinks gives them an edge in selecting their investment holdings. They might employ some type of fundamental analysis that is based on corporate earnings, growth projections, economic conditions, etc. Or they may use a form of technical analysis, making their decisions based on the price movements of an investment. Technical analysis usually involves some form of charting. For our clients, and for our own investment portfolios, we follow a different approach. Our experience and, indeed, the academic evidence show that no one, even the best active managers, can consistently predict what is going to happen in the markets—even with all the fancy tools that are available today. Instead, we follow what is often referred to as a “passive” investment strategy. That simply means that we don’t try to forecast which investments are going to do well and which ones are not. So, we own them all. We build our portfolios using a globally diversified mix of low-cost funds based on our clients’ risk tolerances and needs—a strategy known as “strategic asset allocation.” That means that we own a mix of stocks and bonds that give us broad exposure to many asset classes (such as U.S. equity and real estate). U.S. stocks: From the largest publicly traded U.S. companies to the smallest; not just the Dow 30 or the S&P 500, we own them all. International developed: Large and small companies from across the developed world, giving us exposure to Europe, Australia, and the Far East. International emerging: Large and small companies from the emerging markets around the world; this category gives us exposure to less-developed countries, like the Philippines, Brazil, Mexico, and South Africa. It is important to note that this asset class is very volatile, so we limit our exposure to it. Real estate: These are companies that get their income from rental properties; office building companies, hotels, storage facilities, and retail developers are examples. Short-term, high-quality: Government and high-quality corporate bonds maturing in three years or less; not just from the U.S.
Intermediate-term, high-quality: Similar to our short-term exposure, but these bonds mature in 3–10 years. TIPS(Treasury Inflation-Protected Securities): Basically U.S. government bonds with an inflation rider. The purpose of diversifying your portfolio is to reduce the overall risk. We are trying to diversify away as much of the risk that is inherent in investing that we can. We are spreading our investment dollars across asset classes that are “non-correlated.” We own stocks because they behave differently than bonds, and international stocks because they behave differently than U.S. companies. Where the riskiest portfolio possible would be holding one stock or one bond, we spread the risk across thousands of different securities. It’s the proverbial “don’t put all of your eggs in one basket” strategy. It’s important to note that a well-diversified portfolio will not experience all the gains when “the market” is rising, but it also won’t suffer the extreme losses when things go the other way. Your specific allocation should be based on several factors. You will want to consider your cash needs, time horizon, risk tolerance, risk capacity, and need for risk. Someone with an aggressive portfolio will generally own more stocks than bonds. 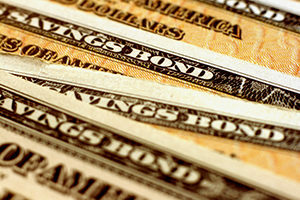 More conservative portfolios will lean more toward bonds. It’s important to remember that building an investment portfolio is not a set-it-and-forget-it process. Once you are invested, you need to make sure that the portfolio stays in balance. As asset classes move in and out of favor, you want to make sure that your mix stays true. For example, an investor who had a 60/40 stock-to-bond mix at the beginning of 2017 may have finished the year at 70/30 because of the big rally in stock prices. If not rebalanced, the portfolio would be taking on more risk. A disciplined rebalance strategy will bring the mix back to 60/40 by selling some of the stocks while their price is up and buying some of the bonds while their price is lower. Buying low and selling high is how the investment game is supposed to be played. We know that we cannot control or predict the markets, so we don’t try. Instead, we work on controlling what we can control. 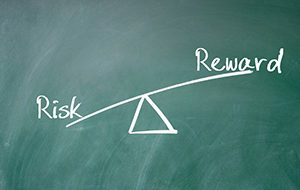 We can control the risk in the portfolio by the asset allocation mix. We work to control the costs of investing by using low-cost vehicles and limiting trading. We also try to control the tax consequences by managing gains and losses as much as possible. Your financial house is starting to look good. We have your spending and savings squared away. We’ve reviewed your insurance coverages to make sure you have a good defense in place. Now we’ve built a solid investment strategy for your savings. Coming up, we’ll look at your retirement plan, review your estate plan, and do a little tax planning. Keep up the good work! Newer PostGetting Your Financial House in Order—Part 5: Estate Planning? Oh, Boy!